Blake Anthony (28) is shown breaking through the Phil Campbell defenders to score a touchdown. The Lions kicked off its 2018 season by traveling to Phil Campbell to face the Bobcats in a fall jamboree. The varsity squads took the field for the first three quarters with the junior teams finishing out the last quarter of the game. 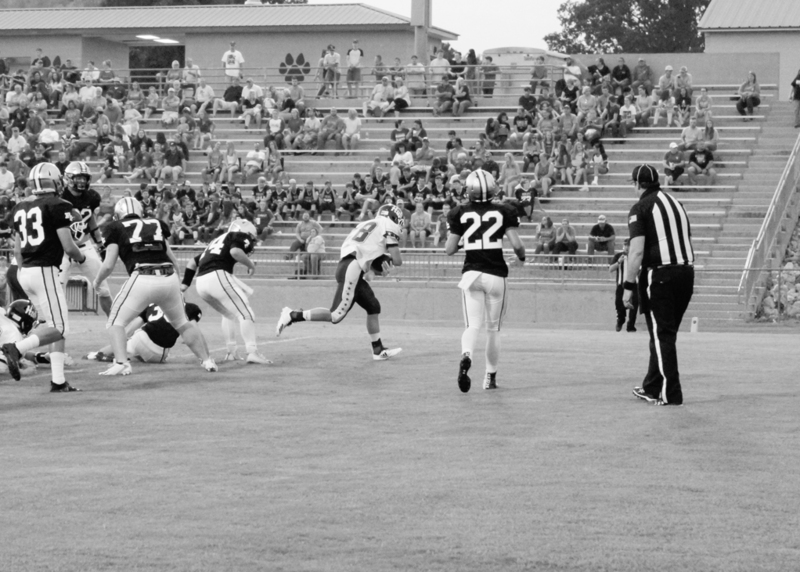 Following the opening kick by Zach Hubbert, the Lion defense quickly stood ground holding the Bobcats offense in check, turning the ball over on downs at the Lions 42-yard line.